YES! Finally, we can all fly to Mauritius with AirAsia X! 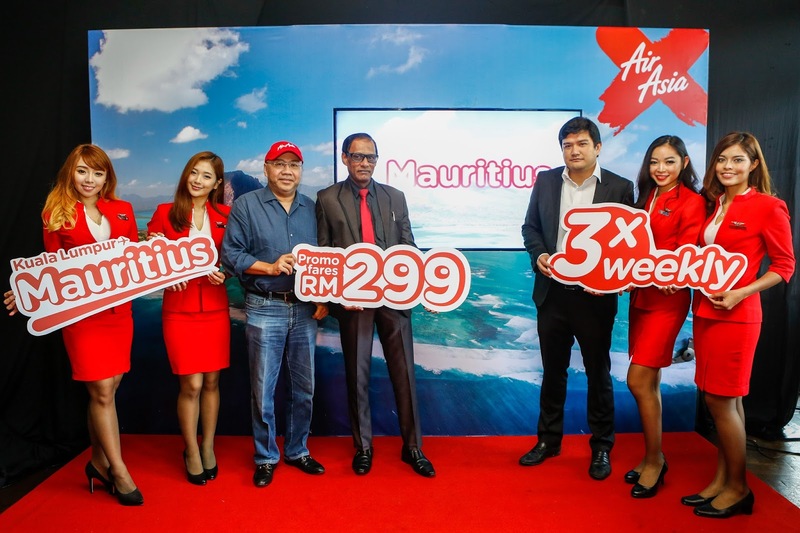 AirAsia X launched Mauritius as its latest destination today with all-in-fares from as low as RM299 one-way. Present at the launch are His Excellency Mr Issop Patel (centre), High Commissioner of Mauritius to Malaysia, Datuk Kamarudin Meranun (3rd from left), Group CEO of AirAsia X and Benyamin Ismail, CEO of AirAsia X Berhad. Mauritius now part of AirAsia X’s growing route network, flying to Mauritius 3 TIMES weekly from Kuala Lumpur! Flights to Mauritius will be on sale starting from now on http://bit.ly/AirAsiaFb during the travel period from 4 October 2016 until 22 May 2017! So this is your GOLDEN opportunity to go "paradise on earth"! All-in-fares from as low as RM299** one-way available for booking from 26 May to 5 June 2016! It is recently announced that Mauritius as the next idyllic place AirAsia X will connect directly from Kuala Lumpur, with three times weekly flights commencing 4 October 2016*. 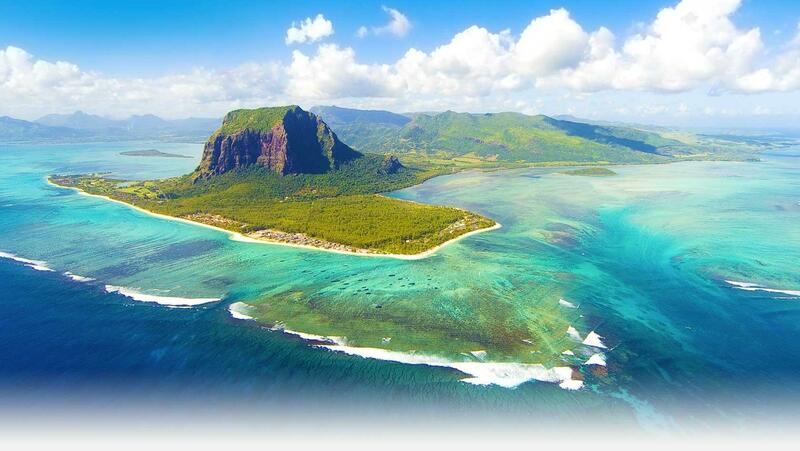 Situated in the southeast coast of the African continent, Mauritius was once a volcanic island and is famous for its beautiful beach setting with white sand, warm sub-tropical climate and a topaz shoreline of the Indian Ocean. Guests can choose to relax on the longest beach in Mauritius at Belle Mare Beach sipping fresh sugarcane juice, or experience scuba diving, as the island is known for its excellent underwater visibility and warm temperatures that attract an abundance of marine life. If you are feeling a little adventurous, embark on an Underwater Walk around the ocean bed in an oxygen helmet and mingle with the fishes. For a little bit of culture and history, head to the capital of Mauritius, Port Louis which boasts a plethora of colonial monuments or follow the pilgrimage route to Grand Bassin, whereby the second largest statue of Lord Shiva in the world is standing at the entrance to the natural crater lake on the mountains. In Mauritius, guests will be greeted to a multitude of ethnic groups in the country, inviting them to absorb the diversity from mouth-watering food to the many cultural festivalsavailable throughout the year. This tropical island indeed is an all-year-round destination that hosts many exciting things to see and do while addressing the needs of all types of travellers such as adventure seekers, honeymooners, families, or solo travellers. *Inaugural flights are subject to regulatory approval. **Promotional all-in-fares quoted are for one-way travel only inclusive of taxes. Terms and conditions apply. Ok folks, since you have read this blog, you may now..... buy your tickets to the paradise on earth! See you there!